Roof Rack for canoes, kayaks, etc. roof rack holds 150lbs only!!! 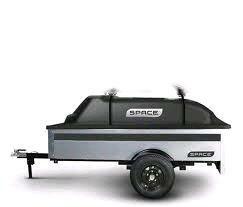 * Please call us for any questions on our trailer travel space 2 w/rack 30 inch tongue rentals in Eden Prairie Minnesota, Bloomington, Chanhassen, Minnetonka and surrounding Twin Cities communities.